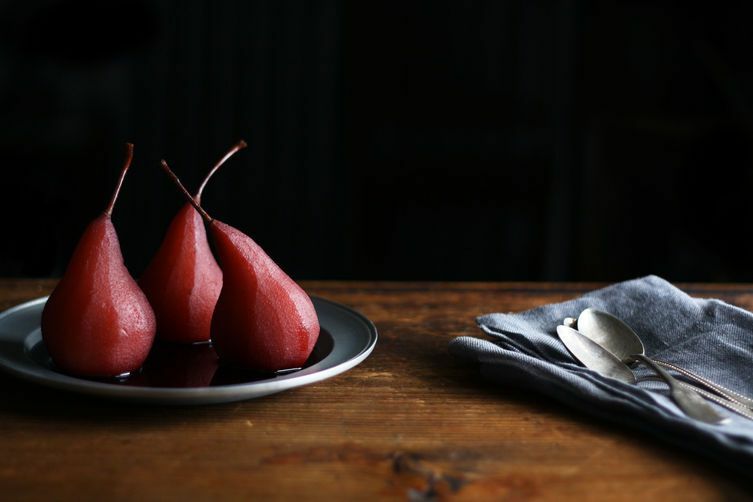 Today, Guest Editor Dorie Greenspan is sharing five ways to capture every last drop of flavor from vanilla bean pods. Vanilla is earthy. It's ethereal. It's exotic. It's indispensable in some recipes and, when added to others on a whim, seems essential. And it's expensive. At least the good stuff is, and it's the good stuff that you should be using. Always. If you're using vanilla extract, make sure it's pure. A good whiff should either make your head spin or compel you to dab a little behind your ears. And the beans...ah, the beans. 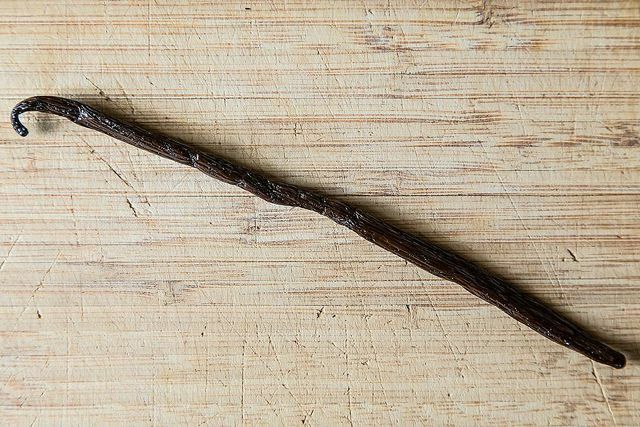 Vanilla beans are the queens of the vanilla family. The ne plus ultra of flavoring. A good vanilla bean should be plump and bendable. Dry beans won't give you the flavor you yearn for (and paid for). The beans should feel moist, maybe even a little sticky, and if they've got a kind of silvery sheen, that's fine. The most coveted part of the bean is the inner pulp, but the pod packs flavor too and, even after you've scraped out the inner seeds or poached both pod and pulp, the pod's got more to give. The most common use for spent beans is to dry them and bury them in a jar of sugar. Or, better yet, dry the pods and whirr them in a blender or food processor with sugar. The same technique will give you something more unusual: Vanilla Salt, a flavoring that you can use in cookies -- use it in or on top of chocolate chip, butterscotch, or all-chocolate cookies -- caramels, puddings, and more. 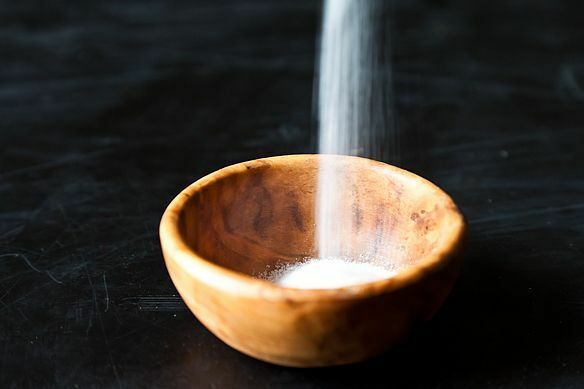 Of course, the salt is also good on the savory side -- try it on roasted carrots, lobster, shrimp, or sweet potatoes. If you want to go all out, whirr the dried pods with some sea salt and then mix that salt with fleur de sel or flake salt. Pods -- dried, or still fresh -- are great for poaching fruit. To get the most flavor out of the pods and into the fruit, run the pods through the fruit -- think skewer -- and poach away. Vanilla is wonderful with almost every stone fruit as well as with apples, pears, and prunes. Oh, and don't forget to save the syrup. Depending on what spices you added, it might be nice to sweeten tea, serve over ice cream, or to poach more fruit. More: Make an extra batch of poached fruit to elevate your weekday breakfast routine. The traditional way to make vanilla extract is to start with fresh beans, slice them lengthwise, and steep them in vodka, counting 3 to 4 beans to about 1 cup of booze. Put the ingredients in a glass jar, shake, then store in a cool, dark place for a couple of months (or longer), shaking whenever you remember. But you can do the same thing with spent beans or pods. You might not have the requisite number of beans at the beginning, but start with what you've got and keep adding to the jar, using an extra bean or two (to make up for their spentness). And for a different, somewhat richer flavor, try making the extract with Cognac. More: Use your homemade vanilla extract to make Dorie's Tarte Tropezienne. If you like vanilla coffee, save your pods to stir your joe. Or add a pod to your coffee beans and grind them together. My own preference is to steep the spent pod in tea. The best? 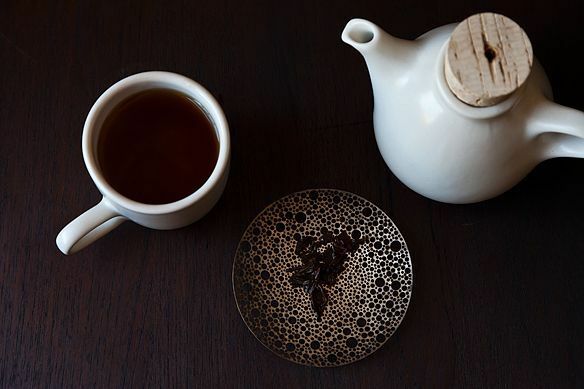 Chai tea with vanilla; honey, too. This great idea comes from my assistant, Mary Dodd. She chops old vanilla beans, mixes them with epsom salts, adds a splash of vanilla extract, and has bath salts that are wildly aromatic, calming, and good for all that might ail you. 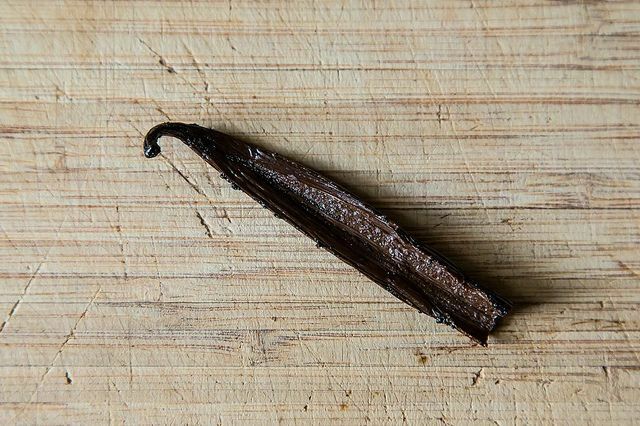 Bet you can think of five more ways to use spent vanilla bean pods. Now share them with us in the comments! 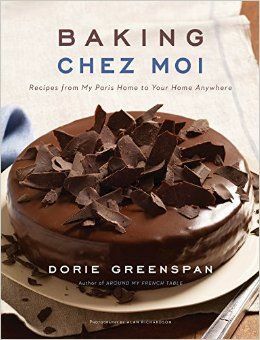 We love Dorie's new book, Baking Chez Moi -- and you will, too. Pick up a copy for more vanilla-infused, French-inspired recipes. Infuse in a neutral oil (or not entirely neutral, I used coconut with exceptional results) for a vanilla scented body oil. Adding lavender buds, or cardamom pods, or dried ginger, or rose, or citrus peel, etc, can send the recipe in uncountable directions. My favorite was coconut oil infused with vanilla, cardamom and rose. Completely gorgeous. So I could just add it to a bottle of jojoba oil? Perhaps melt into some cocoa butter. I could also see it infused with regular butter in cooking. Perhaps storing a spent pod or two in dryer sheets or steeping it into candle wax. I've just received three pods as a gift and can already see that I will need to get more!!!! what about in cold press soap making ? Hope you enjoy it and have a wonderful wedding! I sometimes add drops of eucalyptus oil or lavender in as well. Do you use this all at once - in one bath? Or do you use a certain amount per bath? I’m thinking of making lovely jars as holiday gifts for family, friends & teachers. I usually use 1/2-1 cup per bath. This recipe would make about 3 servings. I take a scraped bean and put it in a bottle of the cheap imitation extract. And TaDa! Does Mary Dodd have a recipe for her bath salts? I'm making vanilla extract as wedding favors, and I want to make sure the pods go to good use afterward. That Mary Dodd is a genius! I add them to bottles of bourbon. Add to a simmer pot to scent the kitchen, or a hot bath to scent yourself. Mince fine and add to a homemade sugar and olive oil exfoliating scrub. Steep beans in slightly warmed milk or cream to be used for pana cotta or rice pudding (my grandmother does this). Grind dried pods to make a vanilla powder add to foods, or add to cornstarch for a very cheap and wonderfully scented dry shampoo. Make vanilla simple syrup. Add into a bottle of maple syrup. Chop up and add to wax for a candle. Add to a pot for mulled wine or cider.